It’s about to get a lot more coconutty up in here! 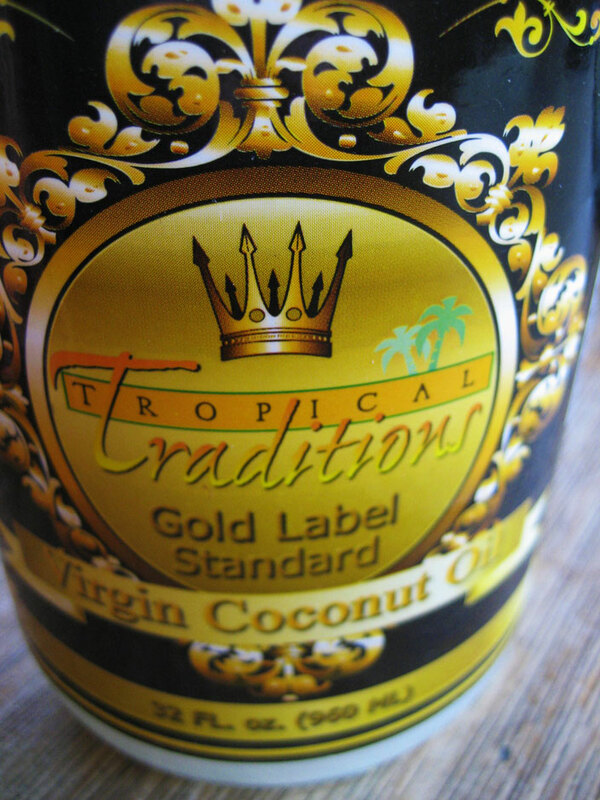 Recently I came across Tropical Traditions on Twitter, and saw that they wanted bloggers to try their coconut oil. I thought that sounded like a great way to get creative, so I decided to check it out. Coconut oil has a lot of potential – for example, it’s great for frying because it has a high smoke point. Melts easily and smells sooo good! Yes, this is not only a savory dish, it is also a meat dish. I tried some. It was ok. Meat is too chewy for me. Maybe I’ll try frying tofu in the coconut oil? I’m definitely frying plantains in it. Z really liked it, though, so I made it two days in a row. And that is why there are pictures – it was too dark to get a good shot of the original meal, which, along with the lightly buttered and peppered rice, included a simple fruit salad of chopped cantaloupe, mango, lime juice and torn mint leaves. Tasty! 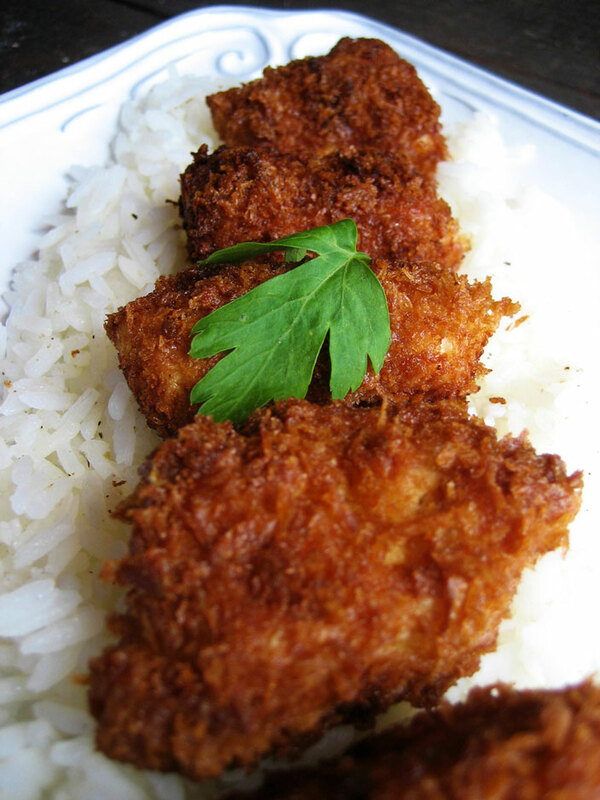 Place the panko in a large bowl and toss it with the cayenne and ginger. 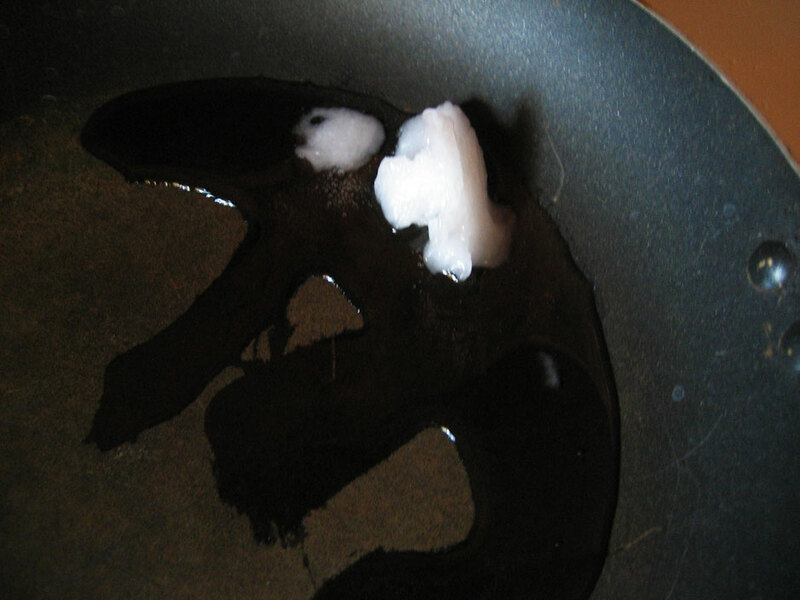 Heat the coconut oil in a medium frying pan over high heat. 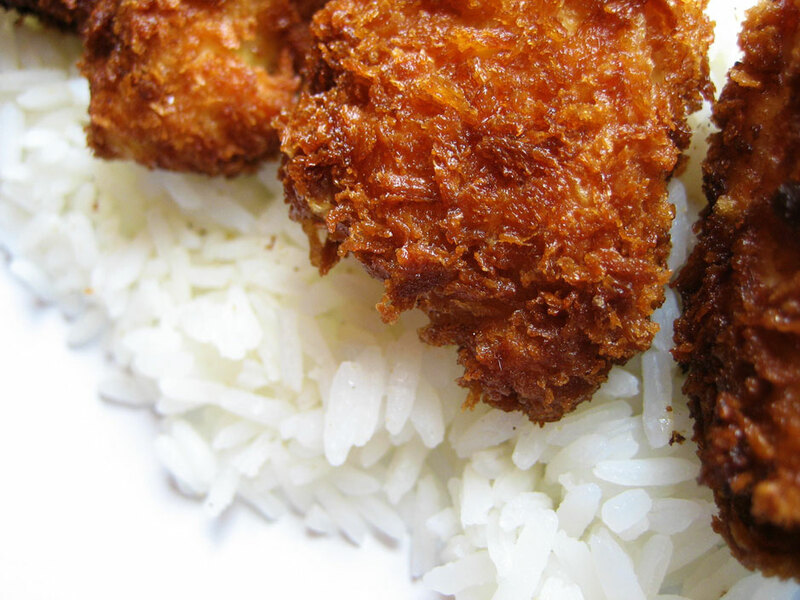 Once it is melted, dredge the chicken pieces in the egg and coat with the panko mixture, then place in the hot oil. Fry for a few minutes, until the frying side is browned and crispy, then flip onto the other side. Continue to cook until all sides of the chicken are uniformly browned and crispy and the chicken is cooked all the way through. Place on paper towels and blot any excess oil. Serve over rice, with tropical fruit on the side. Serves two. I’ll return to our regularly scheduled cavity-inducing recipes next time, I promise! I just needed to post this since Z loved it so much and it shows off the versatility of the coconut oil. 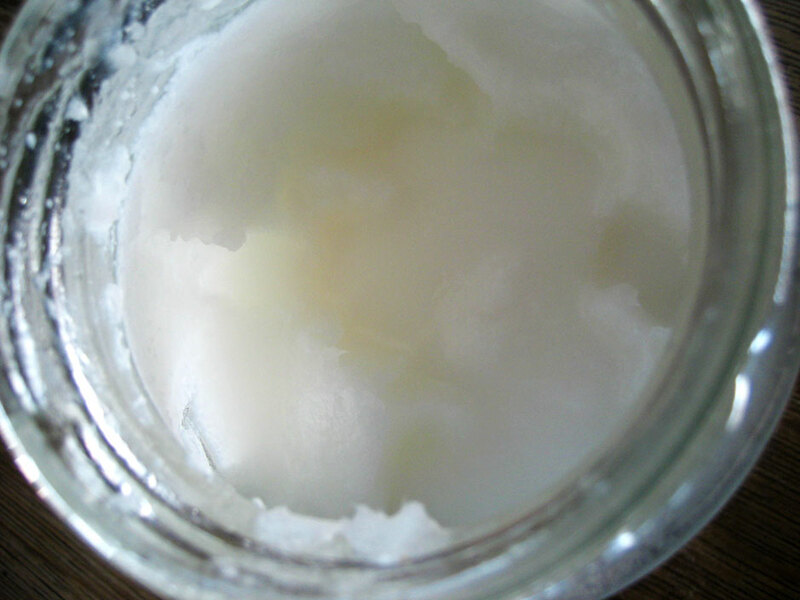 I have at least two more awesome coconut oil ideas so get your coconut hats on! That chicken looks awesome! So crispy, the only way chicken should be eaten! What a great idea! 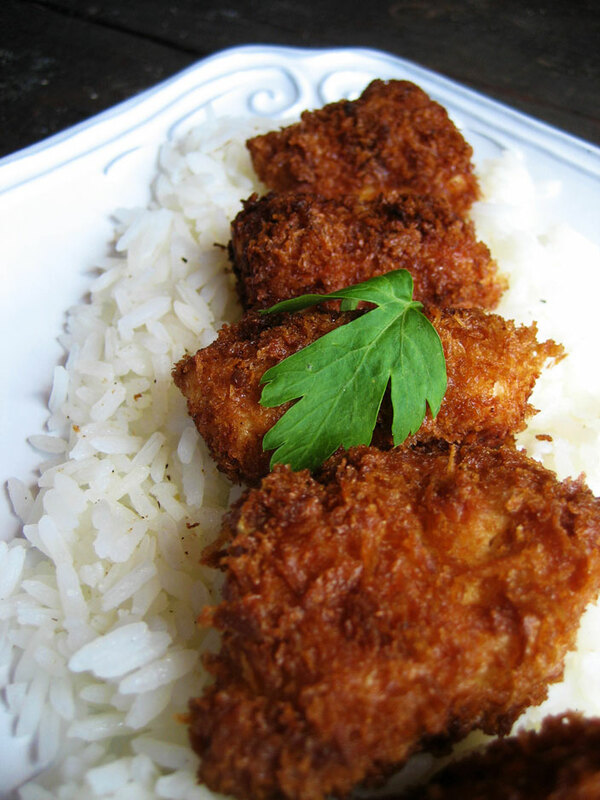 I love coconut fried shrimp so I’m sure I’ll love this. Thanks for the recipe! That fried chicken looks good! I have been looking for coconut oil. I hear that it works really well for a substitute for the butter in chocolate chip cookies.